CFL | Flecks of... Gray? Hamilton mounts 4th quarter comeback! Hamilton hung around for the first three quarters and didn’t make big enough mistakes to eliminate themselves from the game which allowed them in the 4th quarter to turn the momentum and comeback by scoring a bunch of points and frustrating the offense of the Lions. Thanks to Travis, I got tickets to see the game in person along with my parents, brother and nephews which was a lot of fun. The weather was cooperative, the atmosphere was energetic and the game was close, competitive and thoroughly entertaining. 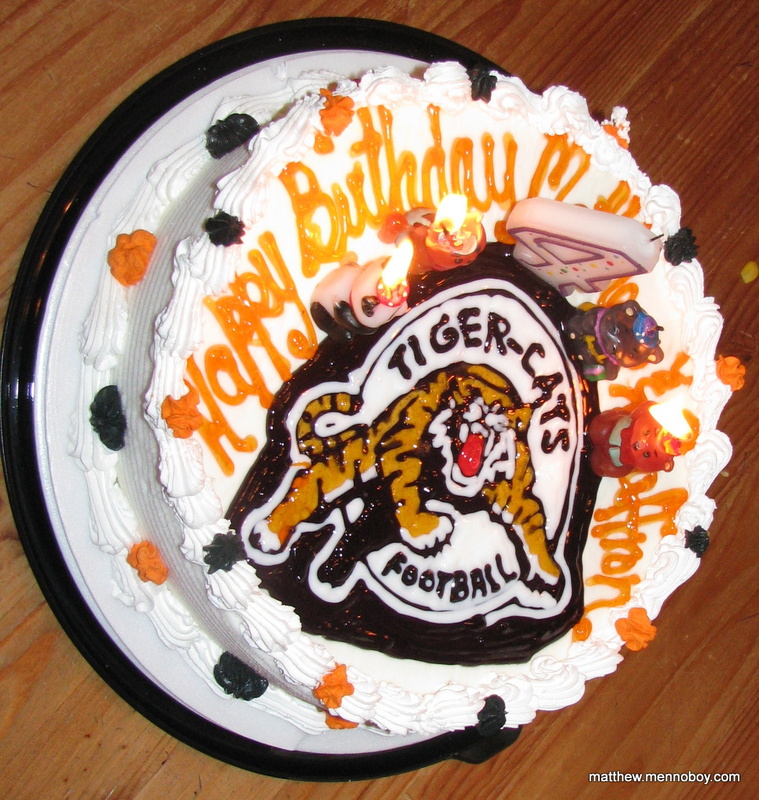 Congrats to the TiCats for going above .500 again and for beating a team other than Winnipeg and Toronto; I’m hoping they can improve their game and beat some of the better teams as well. Ti Cats on a roll! My Ti-Cats (5-4) have had a lot of bad years in a row but lately they’ve started to show a bit of promise in winning their last 4 games straight (something they haven’t done since ’98). Tomorrow they play the Alouettes (6-3), who, without their superstar QB last week lost to BC (2-8) and are without him again tomorrow. If the Ti-Cats are able to get a win that would put them in a tie for first in the East; a feat that they haven’t seen much of in the last few years – I’m optimistic! 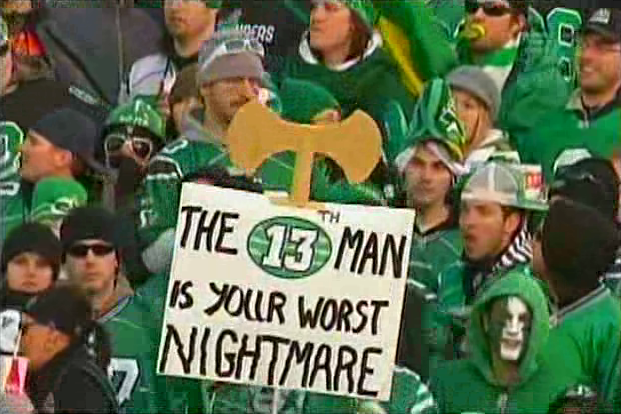 I’ve certainly had this conversation (or thought) a few times; what would happen if a CFL team would play an NFL team? How bad would the CFL team get beaten? Turns out that this was something that people have been asking for awhile and there were actually some games in the 50′s and early 60′s that did exactly this. 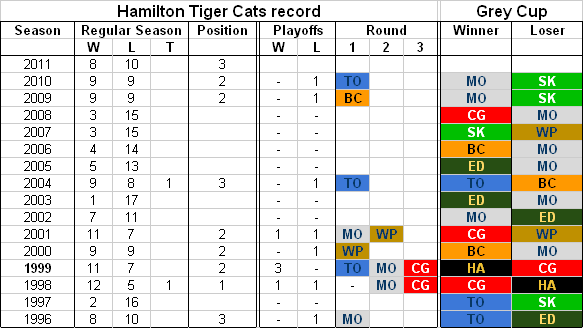 Of the 7 games I was able to find out about, only one time did a CFL team beat their NFL opponent; that would be the Hamilton TiCats beating the Buffalo Bills on August 8th, 1961 (38-21). The NFL had more money and better talent, but there was not a staggering difference. The NFL had to bid against the CFL for players. College stars usually went to play in the NFL, but a fair number chose Canada. A mixed set of rules was used. Half of each game was played under Canadian rules and half under NFL rules. 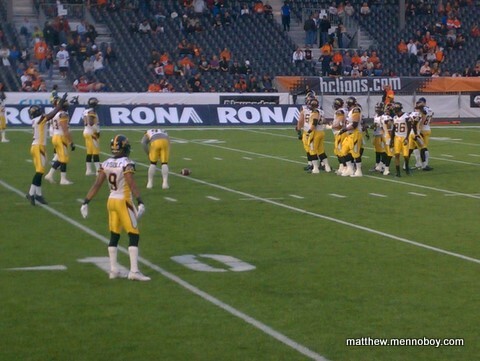 When the Canadian team had the ball in both halves, the teams lined up a yard apart as in CFL play. In both halves, when the NFL team had the ball, the teams lined up head-to-head. When the NFL team had the ball, the American-sized football was used. When the CFL team had the ball, the Canadian-sized ball was used. The Buffalo Bills finished 6-8 in 1961, last place in the AFL East. Hamilton went 10-4-0 to finish first in the East and out-dueled Toronto in the playoffs to advance to the Grey Cup. 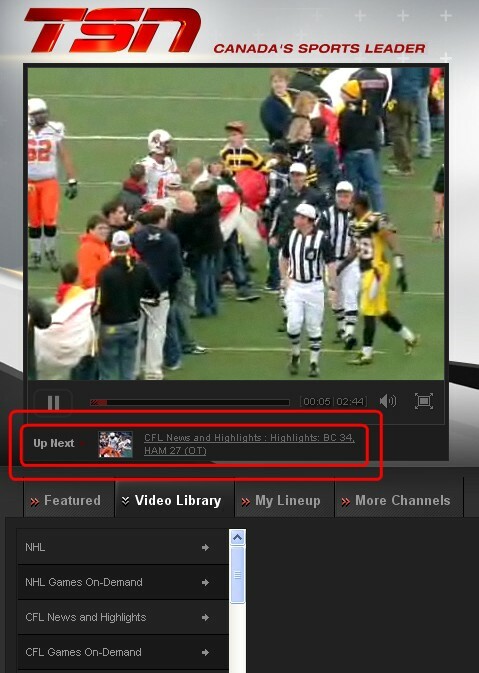 It would mark the last time the CFL and NFL/AFL met for game action. Here is the history of the CFL and the current differences in game rules from the NFL. This year, Hamilton is finally putting things together after having way to many miserable seasons in a row. They’re currently 6-7 in a weak division and looking very good to get a playoff spot. 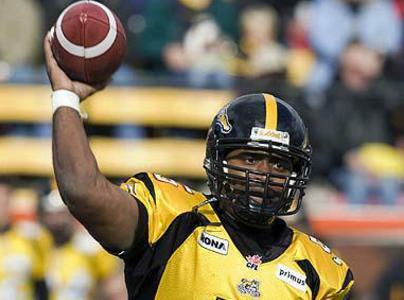 On Saturday, the TiCats beat the Blue Bombers to bring their record over .500 for the first time since the end of the 2004 season – that’s 5 seasons ago; but that barely counts, just because one game stood at a tie to leave their season at 9-8-1. We’d probably have to look back to 2001 for a real winning season (at 11-7). With good reason, I haven't done a CFL post in about 10 months. My team, the dreadful Ti-Cats are 3-12 so far this season, officially eliminating themselves from the playoffs again; their history of non-excellence is propelling them through another epic-fail season. This brings their 7 year win-loss total to 32-90 meaning that they win just over a quarter of their games. Ouch, I really wish they'd do a bit better. This is probably all strategy though, just making sure they get all the good draft picks; yeah, that's what they're doing.